Thursday night the world watched as one of my favorite comedy shows premiered its final episode and took its final bow. 30 Rock has run for seven seasons. Like most shows it had some weaker seasons towards the end but when it was in its prime, it was one of the most clever shows on television. Ending any television show must be difficult but I would imagine it would be even more difficult to end a comedy series. 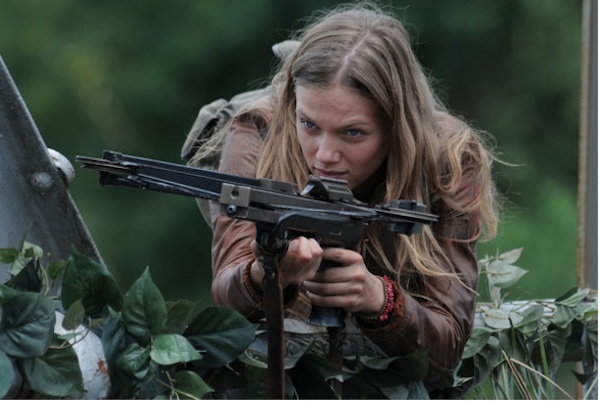 I went into the finale with high hopes and have to say that I was left very satisfied. 30 Rock is written and created by Tina Fey and is based on her experiences writing for Saturday Night Live. The show is your basic show within a show (if there is such thing as a basic show within a show). Liz Lemon (Tina Fey) is the head writer for a show called the Girlie Show on NBC. When a new head of NBC is hired, Jack Donaghy (Alec Baldwin), the show is fundamentally changed when they hire the notoriously difficult comedian Tracy Jordan (Tracy Morgan). That all happens in the first episode and the stage is set for the rest of the show. While there is no arguing that 30 Rock’s main characters are Liz, Jack, Tracy and TGS’ other star Jenna Maroney (Jane Krakowski), the show is also filled with an insane supporting case. This includes TGS writers, the TGS producer Pete Hornberger (Scott Adsit), Kenneth the Page (Jack McBrayer), and Tracy’s entourage Grizz and Dotcom. Throughout the seven years we have spend at 30 Rockefeller Plaza, the supporting staff has become as important as the main characters. Going into the finale I wanted every character to have their own happy ending and for the most part I wasn’t disappointed. A show that has built its humor on sarcasm and unique ploys, 30 Rock stays true to form and uses every tool in its arsenal during the finale. 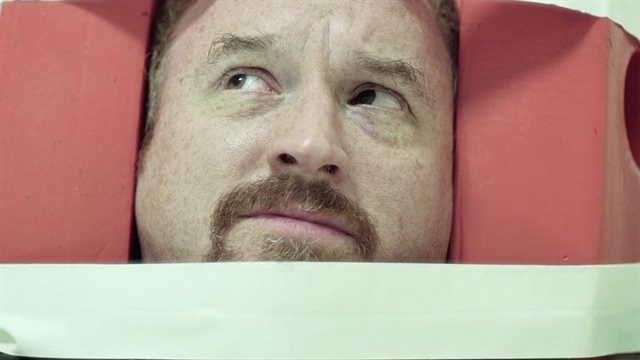 Pulling jokes from the first episode, the hour season finale was a 30 Rock joke greatest hits reel. From mentioning a fake, made up TV show advertisement inset to Tracy Jordan being unable to pronounce Jenna Maroney’s name (My Bologna) 30 Rock again proved the brilliance of its writers and that it can easily be the cleverest show on television. I’m always nervous going into a finale, hoping and praying that the show leaves me satisfied and I will happily be able to say goodbye to my favorite characters without remorse or regret. 30 Rock did a perfect job wrapping up the show. A dramatic end, which puts Liz and Jack into their first real fight, leads to each character saying what they need to say to one another. 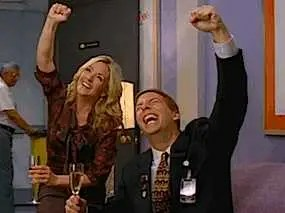 We do get a one year flash forward, showing what all the characters end up doing but my favorite part of the episode occurs with just a few seconds left where, as they always do, the show throws a classic 30 Rock sarcastic element to stop the dramatic farewell. 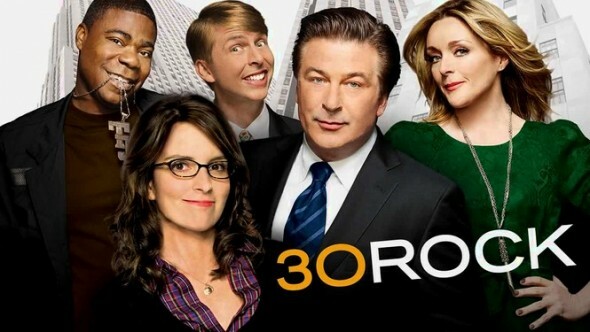 I was very happy with this final episode and can honestly say that I was able to wish a fond farewell to 30 Rock. In the next month, NBC will be airing two new comedy shows. One is called Animal Practice, starring Weed’s Justin Kirk, and as the name suggests, is about an animal hospital. 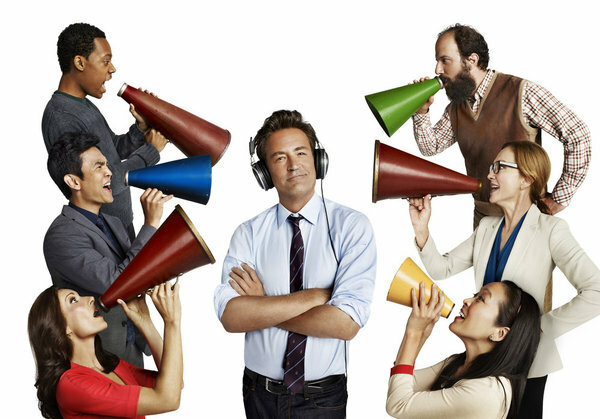 The other, Go On, stars Matthew Perry and is about a talk show host who is forced to join a support group. 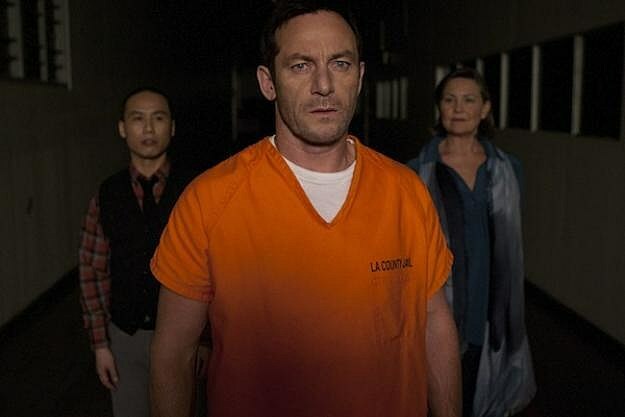 On two occasions now, NBC has premiered the pilot episodes of the shows and on two occasions I have watched them, finding one to be quite promising and one to be very disappointing. The Promising One: Go On- I do not think Go On is a promising show just because Matthew Perry is in it (I am a huge Matthew Perry fan). I actually found the pilot to be quite amusing. Follow a structure that is reminiscent of NBC’s Community, the show focuses on sports talk show host Ryan King. After a tragic accident takes the life of his wife, Ryan is forced by his boss (Jon Cho) to take a couple of months off of work and join a local support group. The first day Ryan attends is a day that the group leader is late so Ryan takes things into his own hands. Creating a tournament to determine who in the group has the most tragic story, we are introduced to the group of insane characters that reminded me of Jeff Winger’s study group (from Community). 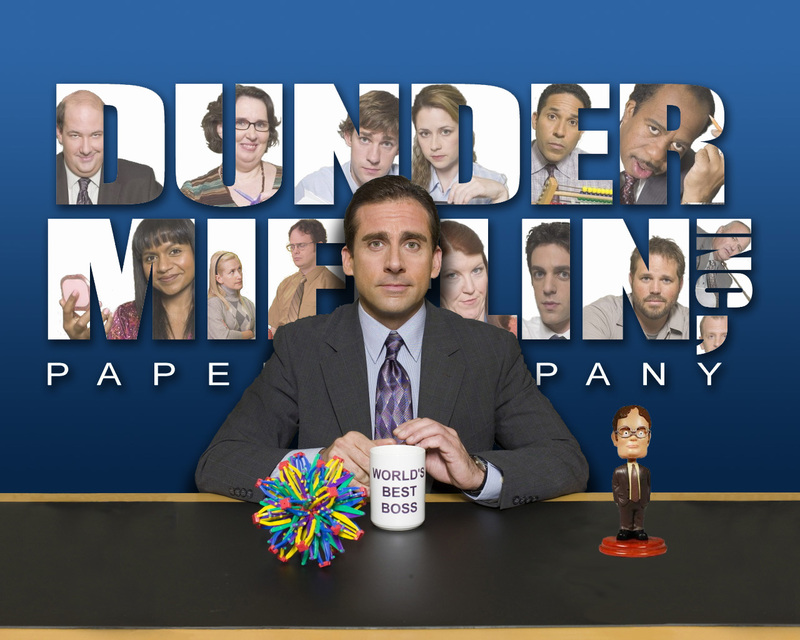 We have the angry Anne (Julie White), the uncomfortably awkward Mr. K (Brett Gelman), the goodie-two-shoes Yolanda (Suzy Nakamura), the silent Owen (Tyler James Williams), Carrie (Allison Miller), the shy Sonia (Sarah Baker), the Spanish speaking Fausta (Tonita Castro), the unable to face the truth George (Bill Cobbs) and the old sick Danny (Seth Morris). Each member of the group adds a quirky personality with their own brand of humor and bringing them all together creates an environment that delivers joke after joke and many of them quite witty. Ryan King leads the group with an arrogance that Jeff Winger would be proud of, certain that he does not need to be there and certain that he can talk and lie his way in and out of anything. Seeming to have no morals and only focused on getting what he wants, Ryan eventually flirtatiously butts heads with the group’s real leader Lauren Schneider (Laura Benanti). Though he does not believe that he is one of them, Ryan eventually develops a soft spot for the dysfunctional group and goes out of his way to help the group find happiness, much like Jeff Winger at the end of many Community episodes (have I beat the comparison to death yet?). Though the episode wasn’t perfect, I see a lot of potential in this show and hope that it can find its footing to become a hit. The Disappointing One: Animal Practice- I was very happy to hear that Justin Kirk was being given his own show. He has a sense of humor that could easily carry a comedy show, if it is done right. The first big mistake Kirk made was signing onto a show on Network television. Those who know Justin Kirk know him for the raunchy, witty rants he launches into on Showtime’s Weeds but now, Kirk is being censored. Jokes on NBC can be raunchy but nowhere near the caliber they should be for the brand of humor Kirk has become known for. The other problem I have with the show is the set up in general. It has become clear that we have run out of ideas for funny doctor shows because setting a show in a hospital for animals that looks like it was made for people creates a stale, cliché environment. The main character of the show, Justin Kirk, is an arrogant but outstanding animal doctor who understands animals perfectly but has trouble relating to and understanding humans. A divorced man working under his ex-wife’s husband, George Coleman (Justin Kirk) has assembled his own team of animal doctors and believes he is next in line to run the hospital. Coleman’s world is rocked when he is not asked to take over the hospital and the job is actually given to his ex-wife, Dorothy Rutledge (JoAnne Garcia Swisher). 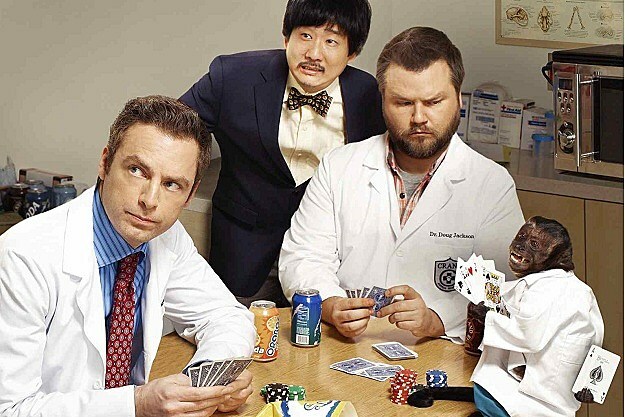 Along with his team of doctors, Doug Jackson (Tyler Labine), Juanita (Kym Whitley), Dr. Yamamoto (Bobby Lee), Angela (Betsy Sodaro) and Dr. Rizzo (Krystal the Monkey, yes an actual monkey), Coleman must deal with the thought of working with and under his ex-wife. 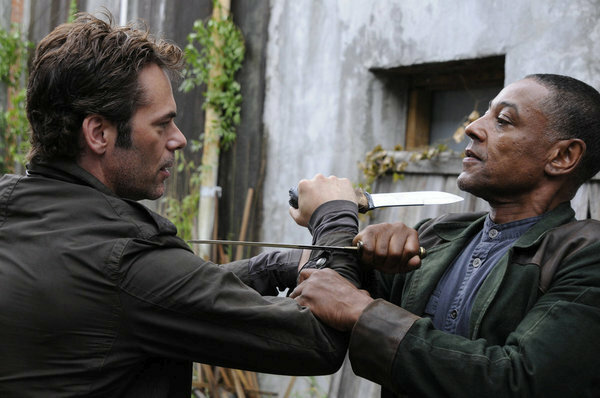 For a show to feel stale after just one episode is not a good sign for its future. Some of the characters on the show are amusing; Angela and Doug Jackson in particular, but the styles of humor coming from the characters don’t mesh. Overall I believe that the concept around this show is better suited for a show geared towards children and, while I wanted Justin Kirk’s show to be great, I don’t think Animal Practice will last very long on the air.